Boating Essentials Waterproof Field Guide - Compact Folding Format, Portable Detailed Information, Lightweight And Durable | BUDK.com - Knives & Swords At The Lowest Prices! 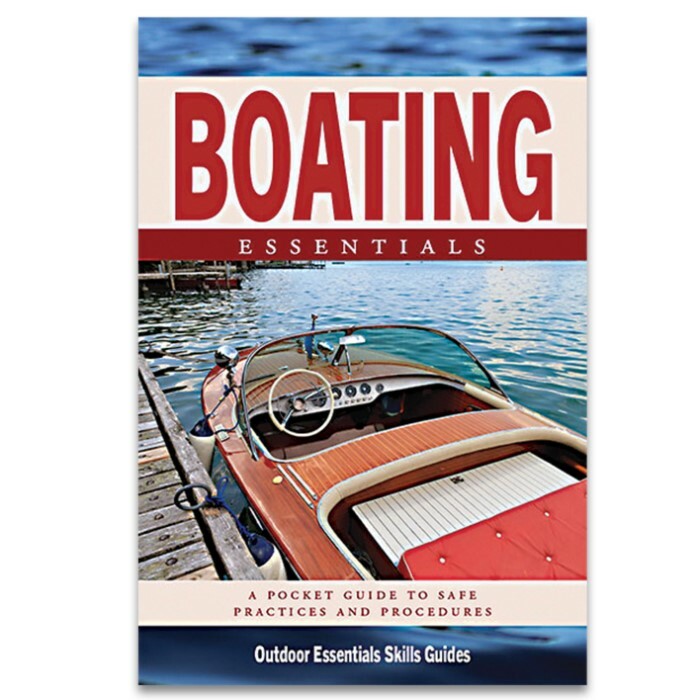 Boating Essentials references everything a novice boater needs to know about boating laws, safe operation of water craft (including boats, sailboats and jet skis), useful knots, navigation, signals, weather, boating and swimming hazards and emergency first aid. An indispensable, practically indestructible reference, it is the perfect companion to have on hand whenever you are on the water. It’s made in the USA by a family owned and operated publishing company.